I had a commission for the larger messer based on an extant example of unknown provenance melded with features of some of the messers painted by Bruegel. 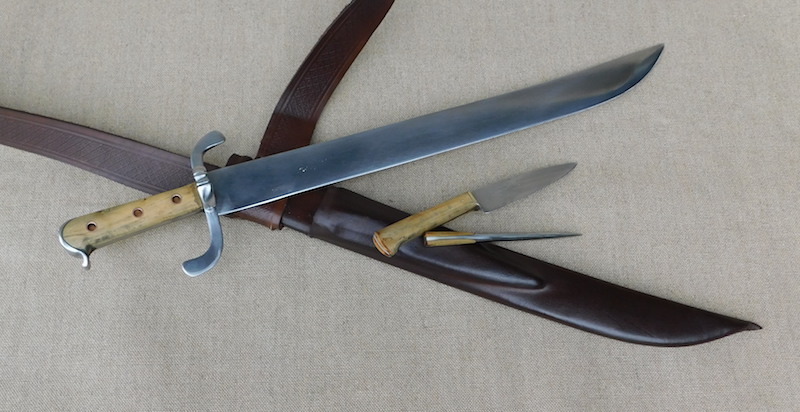 The larger has a 22"/55cm long blade and the rather odd clipped point. The blade starts at 1/4"/6mm thick and drops rapidly from there over the first 3"/75mm and then tapers fairly steadily to the tip. It has a slight convex grind to add body. The scales are box and the rivets are copper. In Bruegel paintings the mess is always slung from a baldric so I went for that option here, leaving the whole weapon and harness as a lower status piece. 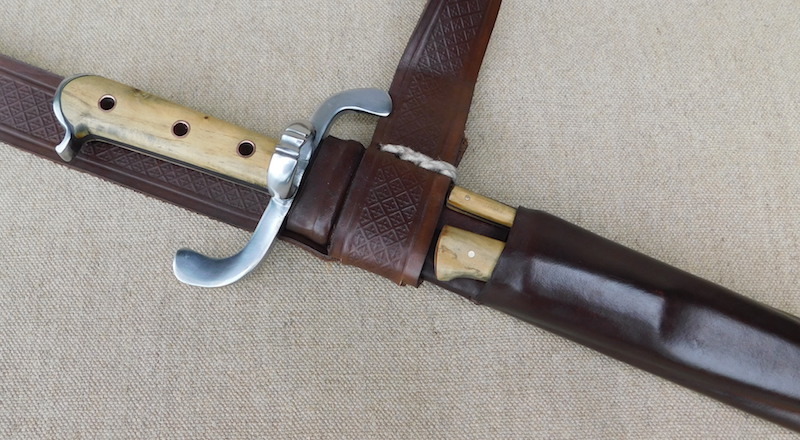 The second messer I made to scratch an itch and was available, but is now sold. It has a 16"/50cm blade, also from 1/4"/6mm stock but it is left more as a chopping knife and so the blade is a bit thicker overall and has a heavier convex grind to make it more robust. 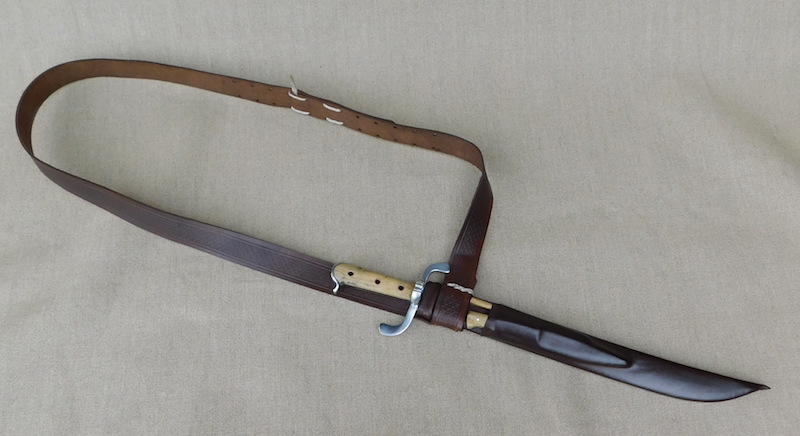 It is also hung on a baldric and both knife sheathes house a simple knife and pricker set in keeping with the peasant (ish) nature of the pieces. This second piece is more in keeping with the size shown by Bruegel. 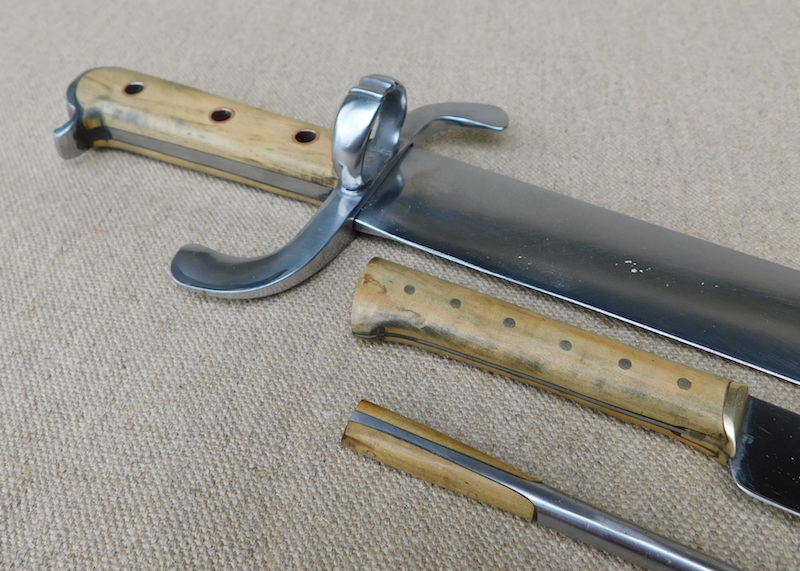 I have always loved these short swords/long knives and it was a real pleasure to have a go at making a couple once again. I last visited this type of knife around 12 years ago and my skills have come on a bit since then and I am really pleased with how these have turned out. I think part of the attraction for me is that they always seem to be worn by tough peasant types who look like they have had a good hard look at life and grabbed it by the horns. And for those of you out there who do not know Pieter Bruegel work, the detail of daily peasant life is stunning and very well worth a look. I must admit I have a slight preference for the second one. It must have been a great tool for a farming life! How much these two pieces weight? Messers usually aren't my thing, but these are gorgeous. Well done Tod. Tod, this looks really fantastic. Love the messer and Bruegel's paintings are a fine inspiration. 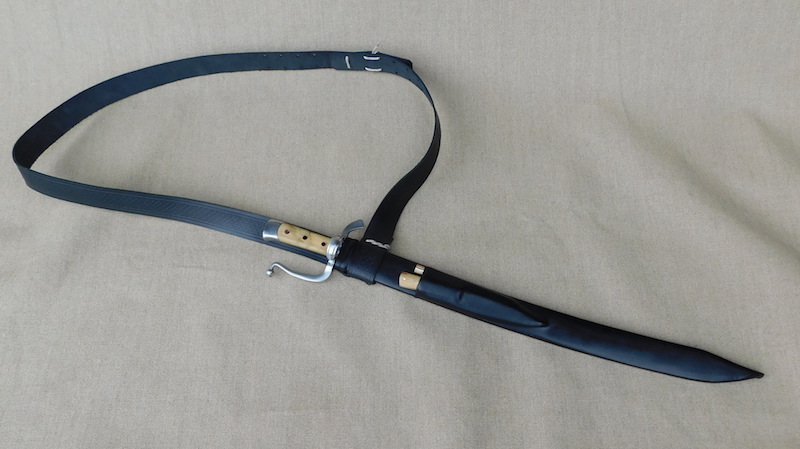 The baldric is a great idea! I need to work with you on a project like this sometime.